Anyone familiar with Greek legends has heard of the Colchis Kingdom. It was to here that the band of heroes known as the Argonauts ventured in order to obtain the Golden Fleece, a symbol of authority and kinship, and it is here that Jason betrayed Medea, Princess of Colchis. There is no way of knowing how much of the Tale of the Golden Fleece is fact and how much is fiction, but Colchis was a real life ancient kingdom that had an important influence on the development of the medieval kingdom, and subsequently the modern state, of Georgia. The Greeks portrayed the proto-Georgian state as a wealthy kingdom and a formidable opponent. Perhaps it once was. However, throughout much of history, Colchis was contested by nearly every major historical power. Colchis is located on the eastern shore of the Black Sea in what today makes up the western half of the country Georgia. People from this kingdom were known as Colchians. Much of the kingdom was built along the banks of the Phasis River (today the Rioni River). The mild climate of the Caucasus plus the extreme fertility of the region helped Colchis develop advanced agricultural techniques much earlier than the rest of Europe. From 1800 – 1500 BC, Colchis was an urbanized center, reveling in Late Bronze Age advancements centuries before the Greeks. In particular, Colchians developed skillful metal working abilities. The bountiful harvest and skilled production of metal goods, combined with their seaside location, helped the Colchians become rich from trade. Taken together, it is no wonder that the Colchis of Greek mythology is a fabulously wealthy kingdom. It is also home to the sacred grove of Ares, the Greek god of war. Other Colchian appearances in Greek myths include the place that Prometheus was chained to a mountain for stealing the gods’ secret of fire (and where an eagle came every day to eat his liver), the place where the temptress Circe lived, and the land of the Amazons (the fierce female warriors). Today the ancient ethnic composition of the Colchians is unknown but the ancient Greek historian Herodotus described them as being black Egyptians or Ethiopians. Naturally, such a kingdom was a prime target for conquest. Colchis was conquered by the Cimmerians, the Scythians, the Milesian Greeks, the Medians, the Persians, and finally the Romans. In all of this, there is a litany of treacherous and murderous acts. While under the Persians, the Colchians had to send 100 girls and 100 boys every five years to the Persian court. Eventually, the Colchians managed to throw off the Persian Empire, possibly because it had became too distracted with Alexander the Great (Colchis lay just outside Alexander’s empire). However, the ordinary people quickly became subject to the powerful oligarchs that rose up in the Persians’ absence. This would ultimately divide the kingdom into myriad little princedoms that fought with each other until they were unified by being conquered by Mithridates the Great (Megas), the King of Pontus and Armenia. But Megas was defeated in war and a battle for succession followed with the sons of his six wives, his mistresses, and his concubines all vying for control. Eventually, the Romans put an end to this struggle by conquering the Caucasus under the brilliant strategy of General Pompey. Under the Romans, the Kingdom of Colchis was renamed Lazicum and the people the Lazs. Several factors remained consistent, regardless of who controlled the land of Colchis. First, the land provided an abundant harvest and the craftsmen turned out wonderful work. Second, the people would rise up (usually unsuccessfully) to try and overthrow any non-Colchis ruler (or Colchis’ rulers they felt unfit to govern). And third, fierce mountain tribesmen would swoop down to raid and pillage the lowlands of the coast. This was a frequent headache for the Roman garrison. Legend has it that Saint Andrew brought Christianity to Colchis. Others say that Christianity was brought to the region by Saint Simon the Canaanite who was killed by being sawed in half by anti-Christian Lazs. Still others say Christianity was introduced by Saint Nino who cured the Queen of a mysterious disease. 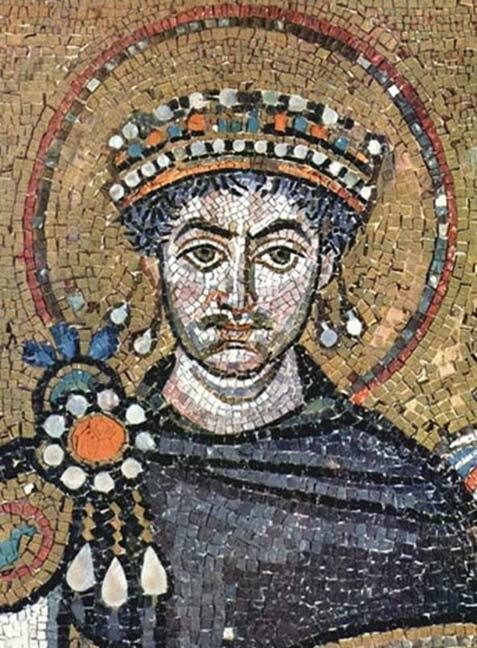 Regardless of which story is true, the region was not fully Christianized until it was subdued and forced to accept the religion by the Byzantine emperor Justinian I. That being said, a large part of the region also ascribed to the Zoroastrian faith. For about 400 years, Lazicum served as an important buffer zone between the Christian Byzantine Empire and the neo-Persian Sasanian Empire, which promoted Zoroastrianism. The Byzantine-Sasanian struggle, in which the Caucasus changed hands many times and attempts at peace never lasted, was finally put to an end by the invasion of the Arabs. It was not until the 10th century that Colchis was liberated and united with Iberia to form the modern Georgian state. The history of Georgia is no less fractious than that of Colchis. It has been ruled by the Ottomans, the Russians, a German-British protectorate (briefly during the years of the Bolshevik Revolution and World War I), the Soviets, a corrupt but independent Georgian government, and now, partially, by the Russians once again. It is also a part of Irish Oral Tradition that The Gaels were the herdsmen of the Chariot Warrior Scythians (who were Iron Smelters) and with them migrated across Europe to the North West Region of Spain, and from there to Ireland.